Often we see preferential treatment being meted out to a few on the basis of some corrupt practices. We get angry at the injustice being faced by the people but what do we do about it? Post a few status updates about it on Facebook or maybe an outrage on Twitter? That is the maximum efforts most of us put when we see injustice around us. Had everyone followed the masses the world would not have been a pleasant place to live in. 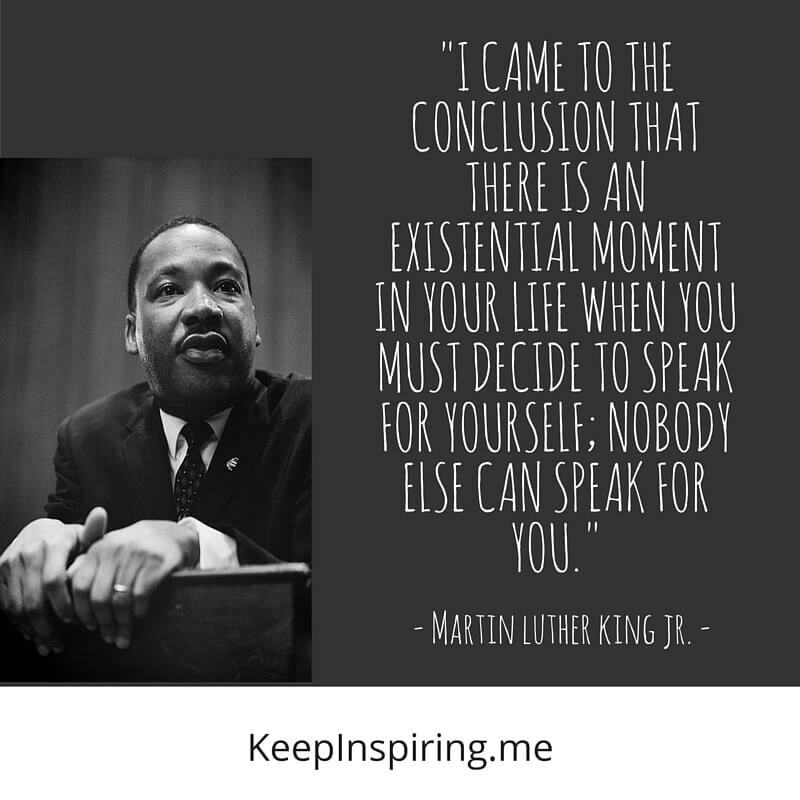 One person who thought and acted differently when he saw injustice in his country’s treatment towards his compatriots was Martin Luther King Jr.
Martin Luther King combatted racial discrimination in the United States of America by organising non violent civil disobedience movements based on his Christian beliefs. 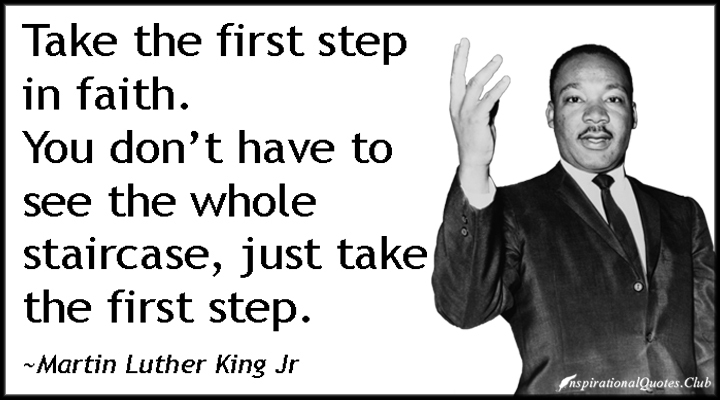 Some of the famous movements organised by him are the 1955 Montgomery bus boycott and the March on Washington in 1963. 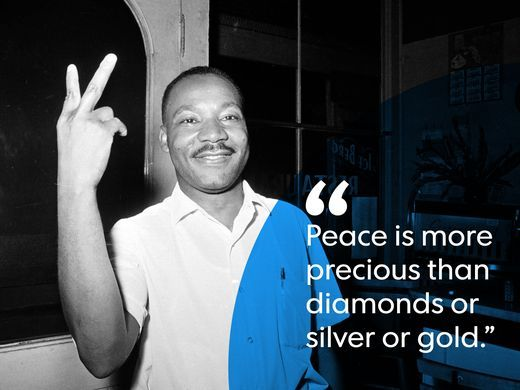 His efforts towards ending racial inequality earned him the Nobel Peace Prize in 1964 and many other awards posthumously. As a mark of respect to his unparalleled efforts his birthday is recognised as an American federal holiday. 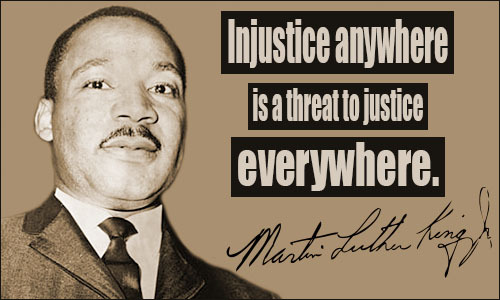 Let his powerful words inspire all of us to raise our voices against injustice. 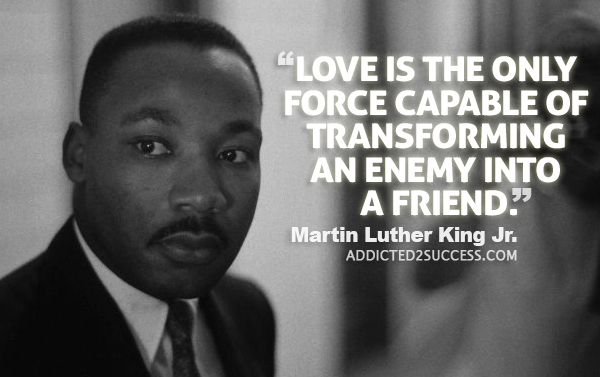 Spread love and see your enemies transforming into friends. 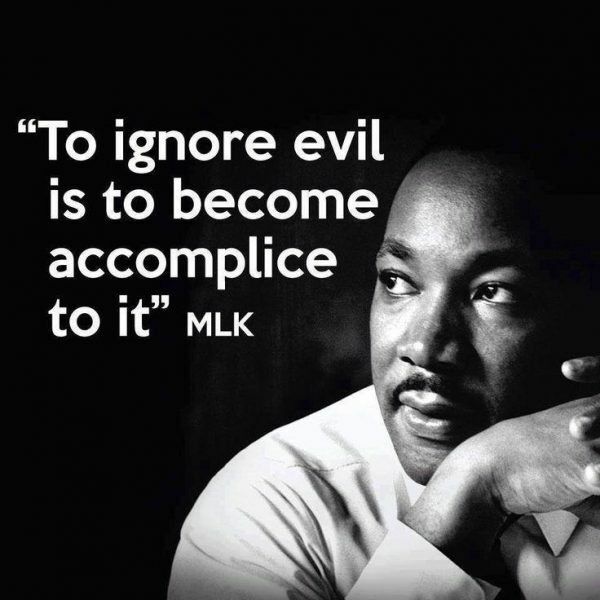 Do not ignore evil. By doing so you are helping it. Speak for yourself because no one else can speak for you. 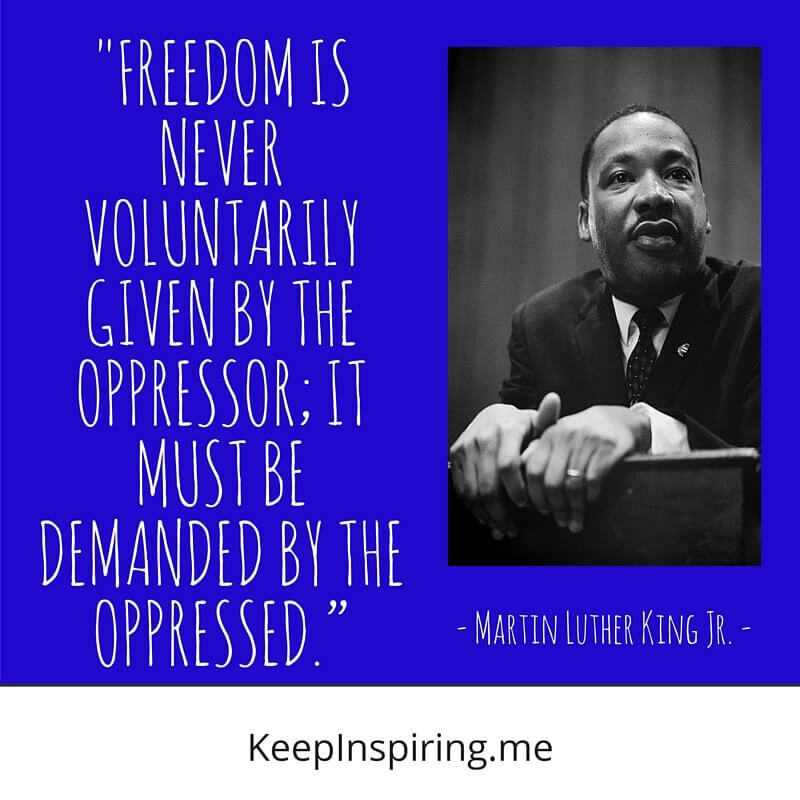 Demand freedom in order to achieve it. 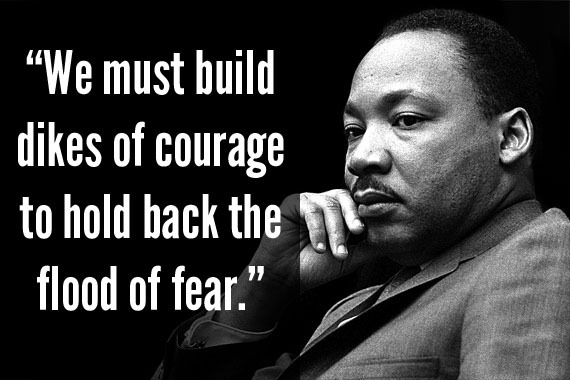 Build courage to counter fear. Peace is the most precious asset that anyone can possess. 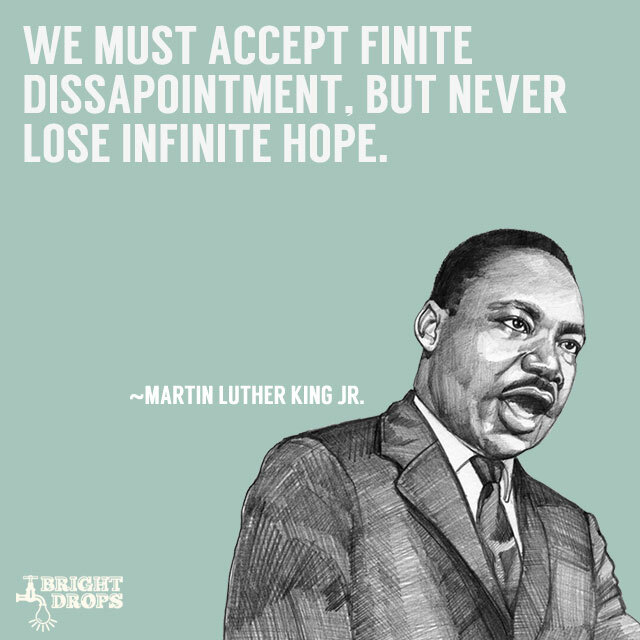 Accept disappointment but do not lose hope. 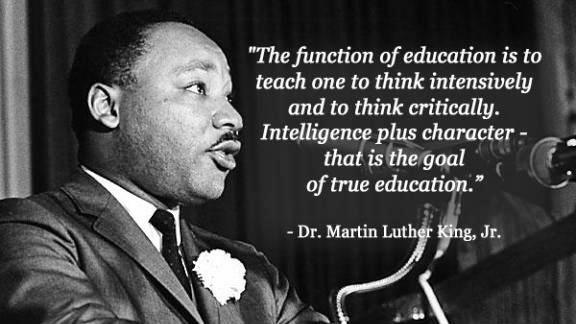 Education should not only make you intelligent but also build your character. Keep faith in the Almighty, He will help you when you need Him. Raise your voice against injustice wherever you see it. 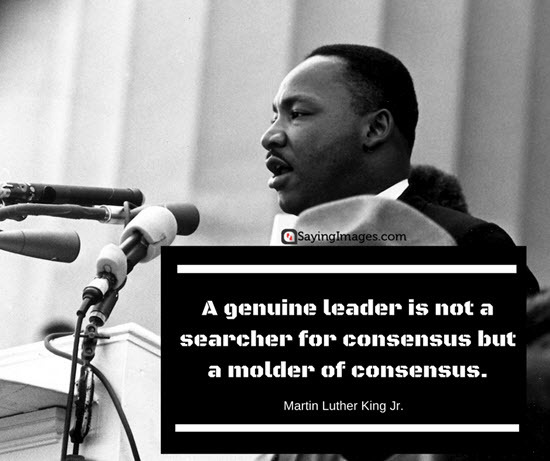 To be a leader do not search for people who would agree with you instead mould their views so that they agree with you.